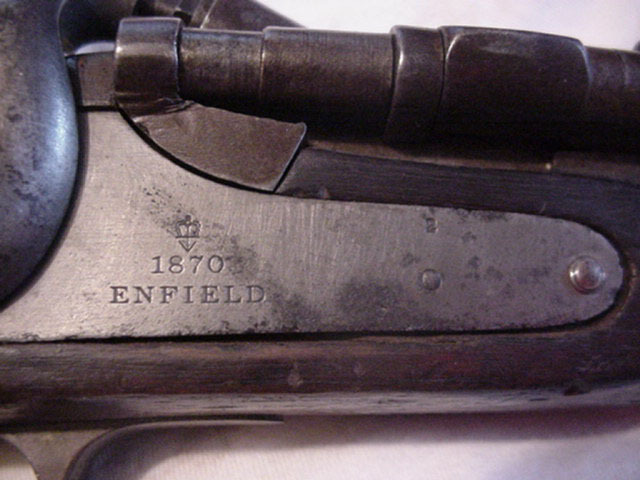 Overall shot of the 1870 Snider Enfield. 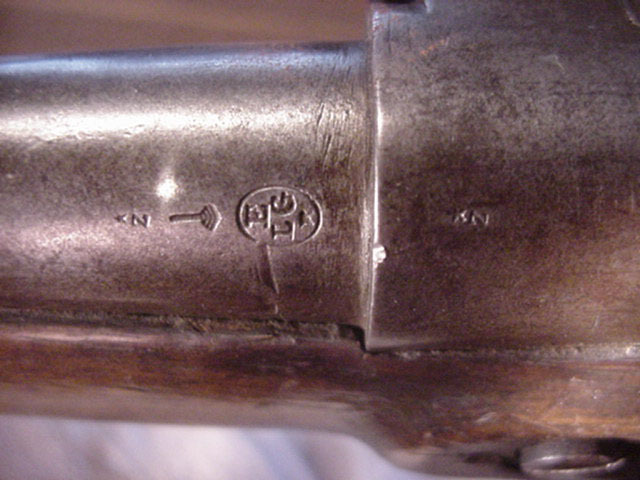 This rifle has a British militray lock, but Belgian proof marks on the block and barrel. It also lacks the usual British military acceptance marks. 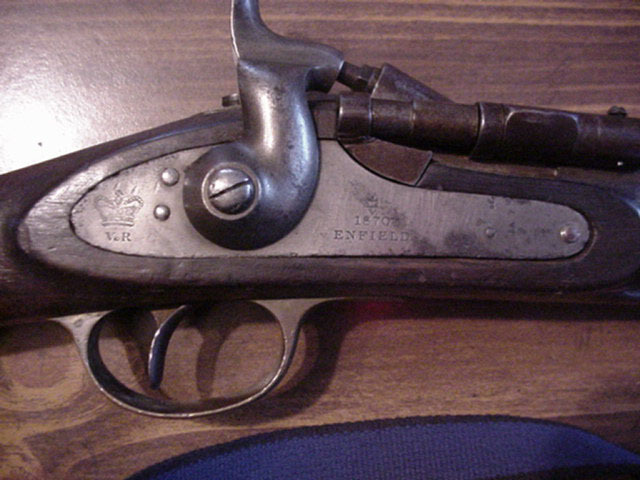 I am currently trying to find out more about this unusual gun. The caliber does not appear to be the standard 577 Snider. Rather, the bore measures out to approx. 54 caliber. I have not yet done a chamber cast nor slugged the bore. Overall condition is NRA poor. 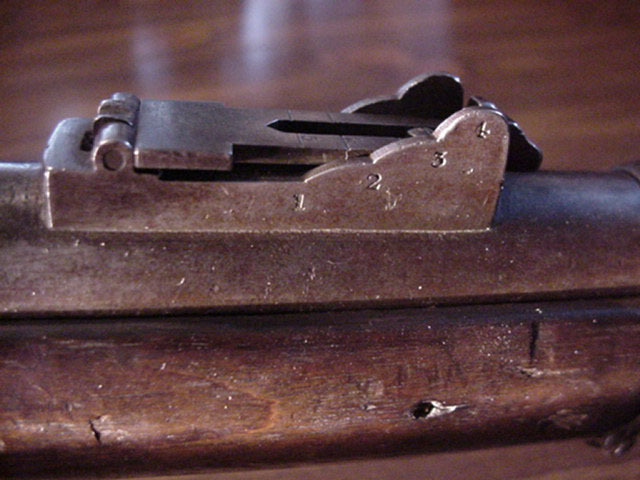 The upper barrel band is missing, as is the rear sight slider. It does have an original clearing rod, though. The wood is very dry and has shrunk considerably, but it is solid. 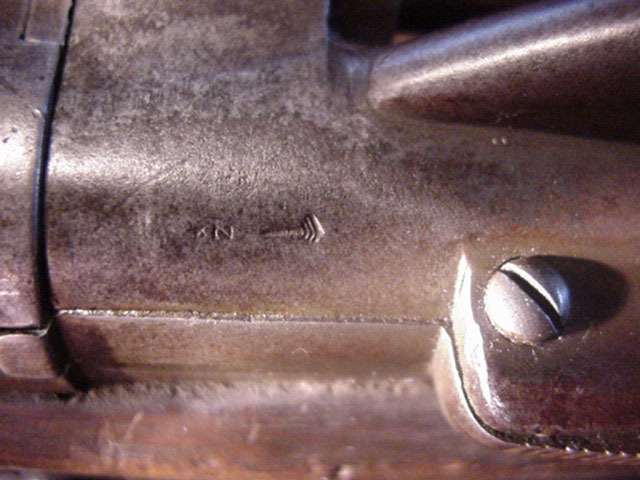 Close up of the rifles lock. Block markings. There are no others than I can see (no "Snider's Patent", etc.). Rear sight. Note that the slider is missing. I purchased the package of new manufacture ammo at a gunshow. 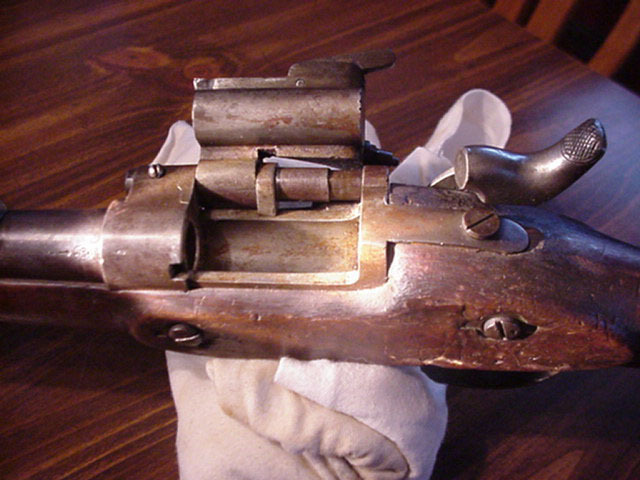 It is loaded with black powder and a 577 Minie ball. These do not fit the chamber of my carbine. Rather, they hang up about 1/4 inch out of the chamber. The bullet is too big. 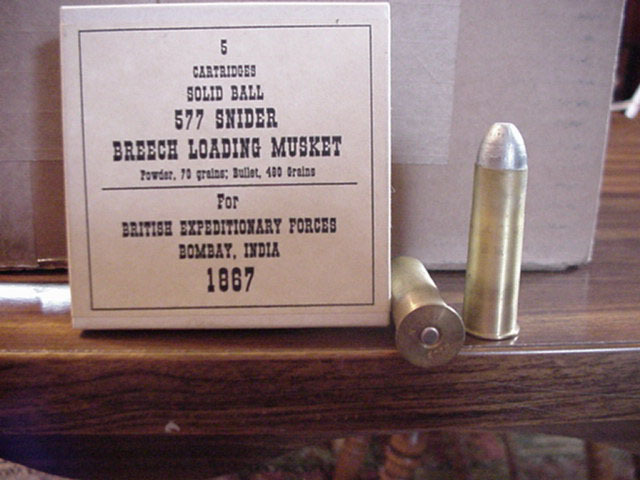 These are loaded into turned brass cases from NDFS in England.